Open Door en 5de Tailwheel Meet op EBGG (Geraardsbergen-Overboelare) op 3 en 4 augustus 2013. 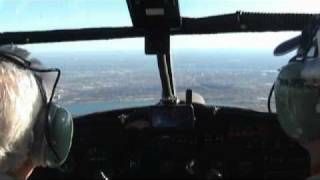 Video: "Flying in the Lancaster Bomber cockpit part 1 of 2 Lake Ontario Niagara Falls Canada & USA"
Bernard Lengert est un peintre discret qui vit en Lorraine. Les éditions Revasion ont décidé de faire connaître à un plus large public son travail en rassemblant dans un Art book ses peintures d'aviation. The Flying Lesson is an ambitious action/drama short film involving air-to-air stunt sequences with a vintage WWII Tiger Moth bi-plane. 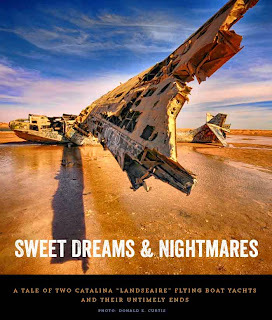 THE FLYING LESSON | A Short Film from Phil Hawkins - Director on Vimeo. The film was shot over 5 days mainly on a Canon C300 with some aerial unit footage shot on the Red and even a 5D Mark II. I became involved when Adrian Alexander (owner and stunt pilot of "Huffy The Tiger Moth") got in touch with a script from a new writer (Ian Bishop) and had already teamed up with James Oldham, an aspiring director of photography. 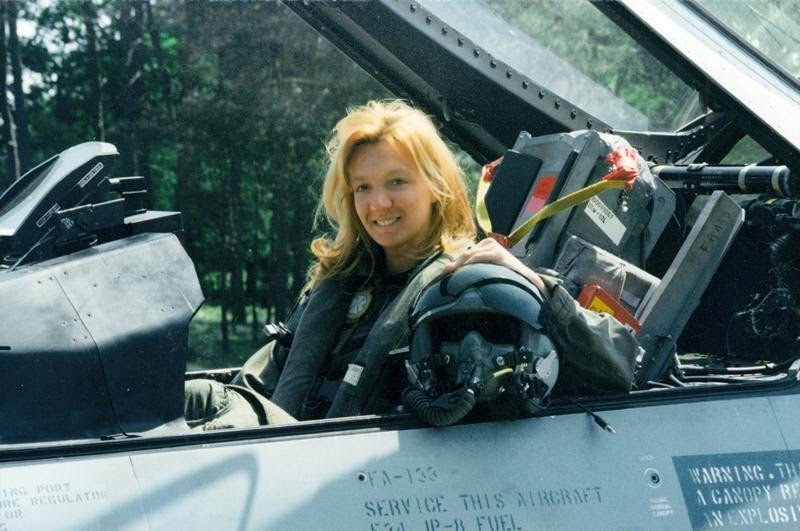 After a few rewrites of the script to move it more into a story based short and away from previous drafts which were more stunt based, I came onboard as director and produced the short through my company The Philm Company in association with Frantic Film and Motley Flying Productions. The film was edited by Alex Macleod using Adobe Premiere which, because of our mixed camera formats, worked brilliantly. The original score was composed by Richard Bodgers including our own arrangement of classical piece "In The Hall Of The Mountain King" which was an ambitious feat in itself! Please do share so we can show out film to as many people as possible and post your comments below. In mid-June, a spokesman for The Military Aviation Museum (MAM) at Virginia Beach told Aeroplane that the 70+ First and Second World War aircraft in its collection are up for sale, and the museum will shut up shop later this year. This shock development came just a month after the MAM's de Havilland Mosquito FB.26, KA114, made its American debut at the MAM's Warbirds Over the Beach show, following its arrival from New Zealand (see Aeroplane, December 2012). Sadly, inclement weather over the May 17-18 weekend led to a severely truncated flying programme at the Warbirds Over the Beach show, but the Mosquito flew from the MAM's grass strip on May 16 in front of enthusiasts from all over the world, who had travelled to Virginia for this very special occasion. 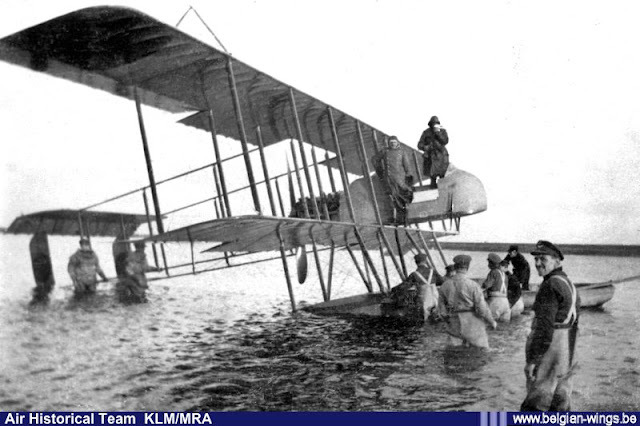 I've just added a new datafile on the Belgian-Wings website on the unique Maurice Farman MF.8 type militaire VIII seaplane use buy the Belgian Air Service to create the "Escadrille Hydro" in 1915. L’aéroport de Bruxelles a entrepris de construire un mur de près de trois mètres de haut et long de plusieurs centaines de mètres sur son périmètre sud, sans doute à la suite du spectaculaire vol de diamants commis le 18 février dernier, a constaté l’agence BELGA. Le bâtiment, d'une longueur de 200 mètres et d'une superficie totale de 32.850 m², sera utilisé par tous les passagers partant de Brussels Airport. Il fera la jonction entre le hall de départ et la jetée A. Video: "A400M The Versatile Airlifter"
Airbus Military's A400M airlifter is a cost-effective, high-speed turboprop aircraft specifically designed to meet the needs of European NATO nations, as well as the requirements of international air forces. Ce petit message pour vous signaler une nouvelle galerie en ligne sur mon site. Video: "Paris Air Show 2013 - Wednesday 19 June, Airbus A380 and A400M Flying demos - uncut version"
mil.be : To Boldly Go where no Woman has Gone Before! To Boldly Go where no Woman has Gone Before! sinds kort is ook geweten dat zij als eerste een "mission patch" had. hiervan waren er slechts 3 gemaakt die op haar trainingsuniformen zaten en 1 op haar training die ze onder haar ruimtepak droeg. deze is nog te zien op haar trainingspak dat hangt in het muzeum van het Gagarin Trainingcentrum. 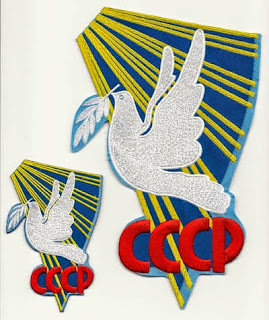 ter gelegenheid van de 50ste verjaardag van haar vlucht kreeg een Nederlandse kunstenaar de patch van naderbij te bekijken en op te meten. 25 op ware grootte (die zijn intussen uitverkocht) en daarna ook op 1/2 grootte. Cosmonaut Valentina Tereshkova, who 50 years ago this Sunday (June 16) launched aboard the Soviet Union's Vostok 6 mission, set a world record by becoming the first woman in space. But her gender wasn't the only contribution that Tereshkova made to the cultural history of space exploration — she was also the first to wear a mission emblem on her spacesuit, although it was hidden from view. Now half a century later, a Dutch artist is set to bring that patch into the light — and to the public — by producing replicas. Nous vous en souhaitons une agréable lecture et espérons que vous apprécierez nos articles. Stampe Fly In...in the rain. La patrouille de France fête ses 60 ans à domicile. Accident de C-119, il y a 50 ans. De Belgische en Vlaamse lucht- en ruimtevaartindustrie heeft hoegenaamd geen last van de crisis. Elk jaar groeit de sector met 5 %. Dat komt omdat onze bedrijven, als een van de weinigen, heel gespecialiseerde hoogtechnologische precisieonderdelen kunnen maken. Op de luchtvaartbeurs van Parijs in Le Bourget zijn wij de op vijf na grootste. 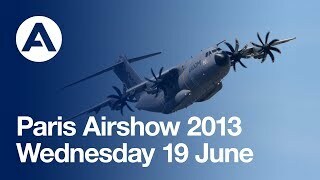 (From Airbus)Airbus’ high-profile presence on the 2013 Paris Air Show’s second day is captured in this compilation video. It highlights key commercial announcements, including EasyJet’s selection of 100 A320neo and 35 A320ceo jetliners and Syphax Airlines’ order for three A320neo and three A320ceo aircraft; Airbus’ delivery of LATAM Airlines Group’s 200th A320; flight presentations of the A400M and no. 1 British Airways A380, and more. La société aéronautique carolorégienne Sonaca a décroché un contrat avec le constructeur brésilien Embraer pour la fourniture des becs de bord d'attaque ( » slats ») et les volets (« flaps ») des futurs avions régionaux baptisés E2 – la nouvelle version des Embraer 190 et 195. Starting today 18 June 2013, Brussels Airlines operates five flights per week between Brussels Airport and Washington Dulles. The new scheduled service aims at passengers travelling to the American capital as well as passengers who connect to other destinations in the United States via Washington. After an absence of 12 years, a Belgian passenger aircraft will land in Washington Dulles Airport today with Brussels Airlines flight SN515. And that’s not the only novelty: SN515 is the first and only flight with a late afternoon departure from Brussels Airport to the United States. The inaugural flight will be sent off festively at Brussels Airport and awaits a warm welcome in the American capital. With this new scheduled service Brussels Airlines doesn’t only connect the European and American capitals with each other: Brussels Airport en Washington Dulles are two important hubs of the Star Alliance network and this new service creates dozens of new connection possibilities. The flight schedule allows for passengers to connect to many other destinations in the US with other Star Alliance partners. A lot of passengers combine the Washington flight with a connection to the West Coast or big cities in the US. The first flight to Washington has passengers on board who travel onwards to San Francisco, Mississippi, Chicago, Indianapolis and Kansas City. The first flight departing from Washington welcomes passengers that transfer through Brussels Airport to other Brussels Airlines destinations like Oslo, Kinshasa, Abidjan, Copenhagen and Douala. 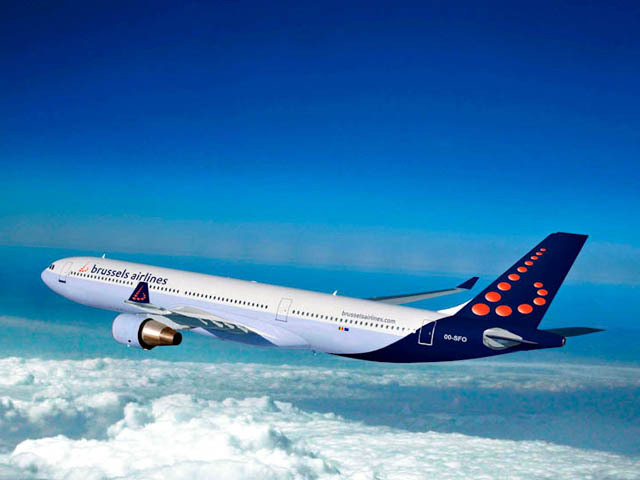 This summer season Brussels Airlines flies 5 times per week to Washington D.C. All flights are operated with Airbus A330-200 or A330-300 aircraft that have recently been refurbished with comfortable Business- and Economy Class cabins. The new Washington D.C. route is launched exactly one year after the successful start of the New York JFK route, Brussels Airlines’ first trans-Atlantic route. Washington is the second East Coast destination for Brussel Airlines. The first commercial results are satisfying. Belgium will take over NATO's Baltic air policing mission in August, the council of ministers of the Belgian government decided on 14 June. Four Belgian F-16s will police the airspace of Estonia, Latvia and Lithuania from the latter's Siauliai air base from the end of August to the beginning of January. The Belgian detachment in Siauliai will number 50 personnel. An additional two Belgians will be based in the Baltic air policing control and reporting centre in Karmelava, Lithuania. The Belgians will relieve four French Mirage F1CRs which have been conducting the Baltic air policing mission since the end of April. Starting 26 October Brussels Airlines will operate flights to Alicante. The entry port to the popular Costa Blanca with its many holiday resorts such as Benidorm, Calpe, Denia and Torrevieja will be connected to Brussels Airport on Wednesdays and Saturdays. The Spanish Costa Blanca is a much loved holiday destination all year round, thanks to its fantastic climate, the extensive tourist infrastructure and the stunning coastline. The Belgians are, after the British and the Dutch, the third largest group of visitors. They stay in hotels or stay in one of the many apartments and holiday homes in Belgian possession. Starting 26 October Brussels Airlines will operate direct flights to Alicante. The capital of the Alicante province is located in the heart of this popular Spanish Costa and is the perfect gateway to the main beach resorts. Alicante is the fifth destination in Spain for Brussels Airlines and completes the existing daily flight offer to Barcelona, Madrid, Malaga and Bilbao. The flights will depart every Wednesday and Saturday, with an early afternoon departure from Brussels Airport and a late afternoon departure from Alicante airport. This schedule allows good connectivity with other European destinations in the Brussels Airlines network. A return ticket to Alicante is available as from €99 (all taxes and fees included). Reservations are possible starting today at www.brusselsairlines.com or via the travel agencies. Video: "The A350 XWB step by step"
Mitchell 44-30925 found a new home. 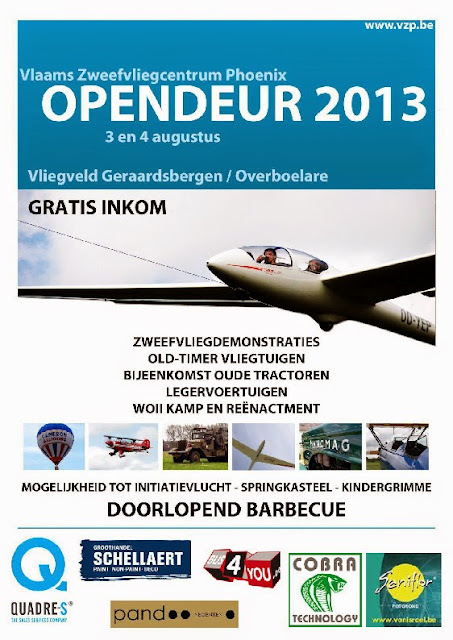 Video: "airshow La Ferté Alais"
TV Show 2013 06 08 13:40 RTBF1 RSAB A VOIR!